The Satoshi Roundtable Conference held recently opened a can of worms. The Bitcoin community clearly showcased their differences of opinion in terms of Bitcoin scalability and the approaches to attain it. Everyone is entitled to their opinion and they rightfully displayed it in a series of blog posts. Since the conclusion of Satoshi Roundtable conference, three big names in the crypto industry have written about the meeting in their respective blogs. Their opinions range from the tough stance taken by the Bitcoin Core developers group and Bitcoin companies to the confusion among the miners regarding both the stances. Bitcoin companies are concerned about the growth of Bitcoin network in terms of a number of users and transactions, as that is the true measure of value in their business model. Miners would want to mine as many blocks as possible in less time, as that’s where their profits lie. Bitcoin Core developers are interested in building more robust, foolproof platforms that can be scaled to do bigger things than it was ever imagined by Satoshi Nakamoto – the creator of Bitcoin. All the parties do agree on one thing, Bitcoin is not a perfect system and it has to undergo some serious rework before it can suit today’s requirements. Bitcoin initially started as a decentralized peer to peer transaction mechanism for digital tokens called Bitcoin. However, the technology behind Bitcoin – blockchain – started exhibiting a huge potential that went beyond just peer to peer fund transfer. Blockchain has emerged as a potential savior to the whole banking and financial sector, for its capability to conduct, settle and record transactions in minutes. While the blockchain is busy offering various services to rest of the segments, Bitcoin transactions have started to face hardships in the recent days. 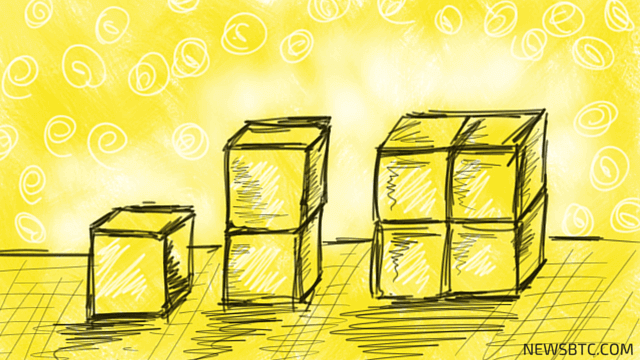 The increased traffic over the Bitcoin network has led to increased backlogs in transactions. The backlogs have also led to an increase in miner’s fee for processing the transactions on a priority basis. While mentioning about the event, Stephen Pair – the CEO and founder of Bitpay – has a more neutral view about the way things turned out at the Satoshi Roundtable. According to him, there are misunderstandings among various Bitcoin groups. which is mainly due to lack of clarity. He urges the community to consider the arguments about issues regarding easy block size expansion proposals without being influenced by their previous conviction and reservations about a single proposal. In his argument, Stephen Pair described the Segregated Witness Protocol, use of Schnorr signatures, thin blocks and Lightning network to be the ideal way to go about scaling the Bitcoin network. According to him, increasing the block size by 1 MB to sustain the transaction load is not feasible. He believes that, by taking the hard fork based block size expansion route, there will be no improvement in the Bitcoin protocol. The blockchain will be able to support more transactions per block while the rest remains the same. In terms of consensus, he believes that a system for bitcoin users to vote for consensus can be used as a market research tool for the developers and miners to understand what users feel about the changes. As far as opinions go, Stephen Pair has expressed his own. He would love to see bitcoin as a payments protocol than a peer to peer fund transfer protocol (After all, Bitpay is about bitcoin payment settlement for merchants). Rest of us will need to have an extra ounce of patience until the block size drama dies down and they come up with something concrete to solve Bitcoin’s problems.